With the magnificent success of Materials Congress 2018, we are proud to announce the 20th World Congress on Materials Science and Engineering, to be held during June 24-26, 2019 at Vienna, Austria. On this auspicious occasion, Organizing Committee invites the participants from all over the globe to take part in this annual flagship conference with the theme “Exchange of Technological Advances in the field of Materials”. 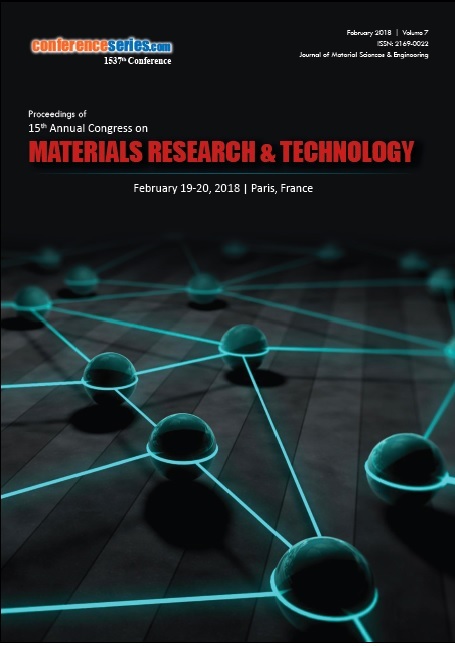 Materials Congress 2019 aims in proclaim knowledge and share new ideas amongst the professionals, industrialists and students from research areas of Materials Science, Nanotechnology, Chemistry and Physics to share their research experiences and indulge in interactive discussions and technical sessions at the event. The Conference will also have a space for companies and/or institutions to present their services, products, innovations and research results. If your company/organization is interested in participating in this event, contact us here. Vienna is the federal capital and largest city of Austria and one of the nine states of Austria. Vienna is Austria's primary city, with a population of about 1.8 million (2.6 million within the metropolitan area, nearly one third of Austria's population), and its cultural, economic, and political centre. It is the 7th-largest city by population within city limits in the European Union. The city is located in the eastern part of Austria and is close to the borders of the Czech Republic, Slovakia, and Hungary. In 2001, the city centre was designated a UNESCO World Heritage Site. In July 2017 it was moved to the list of World Heritage in Danger. The historic centre of Vienna is rich in architectural ensembles, including Baroque castles and gardens, and the late-19th-century Ringstraße lined with grand buildings, monuments and parks. Materials Congress 2019 offers a fantastic opportunity to meet and make new contacts in the field of Materials Science and Engineering, by providing collaboration spaces and break-out rooms with tea and lunch for delegates between sessions with invaluable networking time for you. 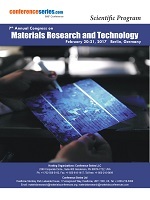 It allows delegates to have issues addressed on Materials Science by recognized global experts who are up to date with the latest developments in the Materials Science field and provide information on new techniques and technologies. This International Materials Science conference will feature world renowned keynote speakers, plenary speeches, young research forum, poster presentations, technical workshops and career guidance sessions. The joy of attending Materials Congress 2019 brings with it improvement and incremental growth in your approach to do things, in the broader manner to see things and the beauty to live international diversity. Materials Congress 2019 is comprised of various tracks and sessions designed to offer comprehensive sessions that address current issues in the field of Materials Science. Europe: Swedish Ceramic Society, British Composites Society, European Ceramic Society, European Society for Composite Materials, Italian Ceramic Society, German Ceramic Society. Europe: The Polymer Society UK, Telford Polymer Association, European Polymer Dispersion and Latex Association, Polish Chemical Society, British Plastic Association. Ability of a nation to harness nature as well as its ability to cope up with the challenges posed by it is determined by its complete knowledge of materials and its ability to develop and produce them for various applications. Advanced Materials are at the heart of many technological developments that touch our lives. Electronic materials for communication and information technology, optical fibers, laser fibers sensors for intelligent environment, energy materials for renewable energy and environment, light alloys for better transportation, materials for strategic applications and more. Advance materials have a wider role to play in the upcoming future years because of its multiple uses and can be of a greater help for whole humanity. The global market for conformal coating on electronics market the market is expected to grow at a CAGR of 7% from 2015 to 2020. The global market for polyurethanes has been growing at a CAGR (2016-2021) of 6.9%, driven by various application industries, such as, automotive; bedding and furniture; building and construction; packaging; electronics and footwear. In 2015, Asia-Pacific dominated the global polyurethanes market, followed by Europe and North America. BASF, Bayer, Dow Chemical, Mitsui Chemicals, Nippon Polyurethanes, Trelleborg, Woodbridge are some of the major manufacturers of polyurethanes across regions. Material science plays an important role in metallurgy too. Powder metallurgy is a term covering a wide range of ways in which materials or components are made from metal powders. They can avoid, or greatly reduce, the need to use metal removal processes and can reduce the costs. Pyro metallurgy includes thermal treatment of minerals and metallurgical ores and concentrates to bring about physical and chemical transformations in the materials to enable recovery of valuable metals. A complete knowledge of metallurgy can help us to extract the metal in a more feasible way and can used to a wider range. 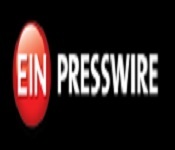 Global Metallurgy market will develop at a modest 5.4% CAGR from 2014 to 2020. This will result in an increase in the market’s valuation from US$6 bn in 2013 to US$8.7 bn by 2020. The global market for powder metallurgy parts and powder shipments was 4.3 billion pounds (valued at $20.7 billion) in 2011 and grew to nearly 4.5 billion pounds ($20.5 billion) in 2012. This market is expected to reach 5.4 billion pounds (a value of nearly $26.5 billion) by 2017. 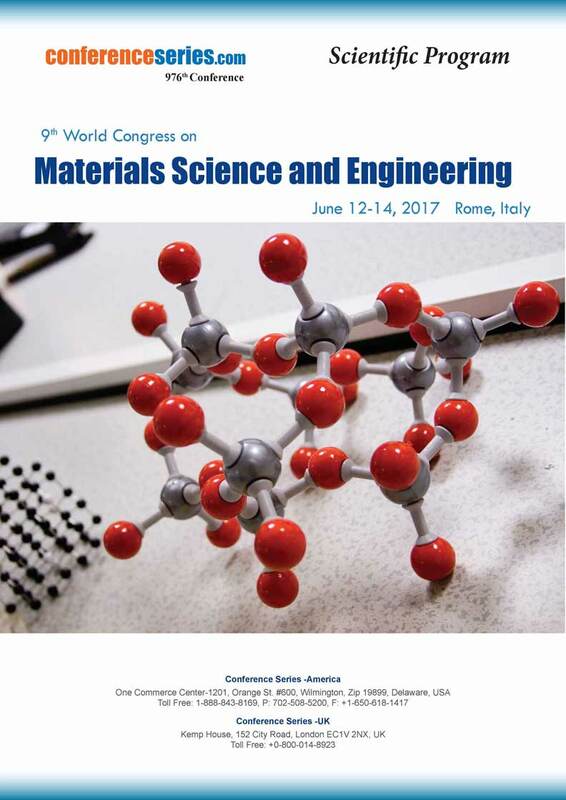 We invite you, on behalf of the Organizing Committee, to this excellent meeting with great scientists from different countries around the world and sharing new and exciting results in Materials World, which will be held in Austria from June 24-26, 2019 Vienna, Austria. This exciting and informative conference program including plenary lectures, symposia, workshops on a variety of topics, poster presentations and various programs for participants from all over the world. The field of materials have not only helped the development in different fields in science and technology but also contributed towards the improvement of the quality of human life to a great extent. All this has become possible with the different discoveries and inventions leading to the development of various applications. 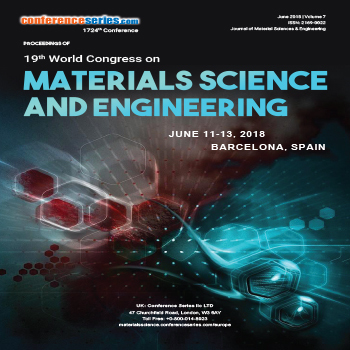 The core aim of Materials Science 2019 conference is to provide an opportunity for the delegates to meet, interact and exchange new ideas in the various areas of Materials Science. 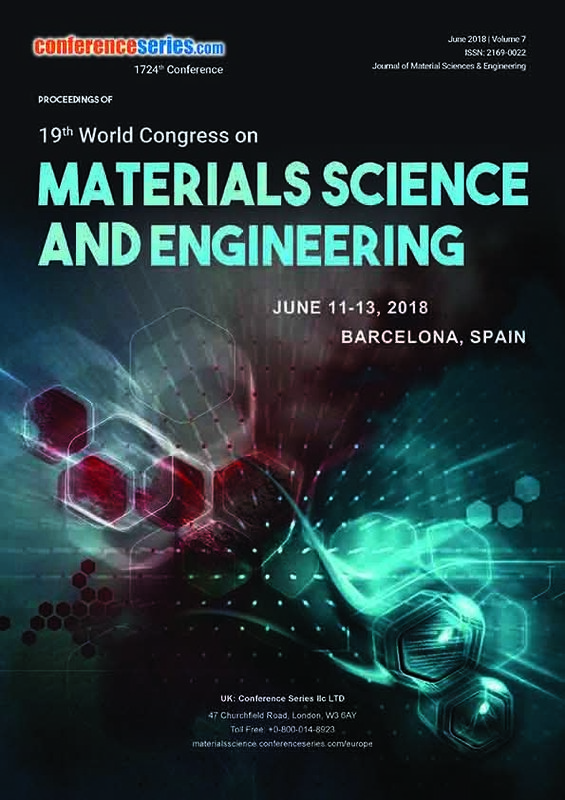 The 19th World Congress on Materials Science and Engineering which was held in Barcelona, Spain was an unprecedented event with huge success and with participants from across the globe made this event a landmark in the field of Materials Science Conferences which was organized by Conference Series llc LTD.
Materials Congress 2018 was held during June 11-13, 2018 at Tryp Barcelona Aeropuerto; Barcelona, Spain with the theme “Science and Technology of Materials from Nano to Macro level” drew kind response and spry participation from the scientists, engineers, researchers, students and leaders in the fields of Materials Science and Nanotechnology, who made this event successful. It also provided invaluable networking opportunity, deploying the foundation for new research endeavors and development projects. Conference Series llc LTD is obliged to the Organizing Committee Members, adepts of field, company representatives, various outside experts and other eminent personalities who supported the conference by accelerating the discussion forums. With the splendid success of Materials Congress 2018, Conference Series llc LTD is proud to announce the 20th World Congress on Materials Science and Engineering which will be held during June 24-26, 2019 at Vienna, Austria. It was really a good meeting and I enjoyed it very much. We had a fruitful time for poster session in order to share experience and results of students. Thank you for offering me the opportunity to present my work at the Congress. For me it was an enjoyable and useful experience. You did a fine work in organizing the event, congratulations ! 19 th World Congress on Materials Science an Engineering was an excellent congress where I made new contacts and learned important things about my speciality. Congratulations because organization was excellent. It has been a very nice and interesting conference that gave me the opportunity of knowing new scientific results and directions. The management was excellent and I enjoyed the very good topics. I strongly recommend other to attend it. The Conference was a good forum to participate and hear a lot of interesting reports and results - also to check that our research. It was good to hear a lot of interesting stuff. The congress was pretty good. I take this opportunity to congratulate you for the success achieved. The conference was a fantastic experience. I thoroughly enjoyed myself. The location was great and the atmosphere was nice. It was knowledgable and enjoyable. It was fantastic being able to network with people from all around the world and to learn of the research they have carried out. I really appreciate the invite to this conference. It was a great opportunity and I have learnt a lot. Thanks for the great and stimulating experience at the conference. I would like to thank the organizing committee for an interesting and insightful 3 days on the topics presented. The conference was quite informative and interesting. The whole experience was great. And of course, the food was great too. Unquestionably, the 19th World Congress had the level that we expected. We are very satisfied with the presentations of the exhibitors with current issues. It allows us to project ourselves in future research topics, particularly in new nanomaterials. Thank you for the conference!